A calendar, at it's most basic function, is there to tell you what day it is. And showing you that information at a quick glance is important to us. Apple's calendar app displays the date within the app icon, however a living and dynamic icon is something that Apple has prohibited for developers. 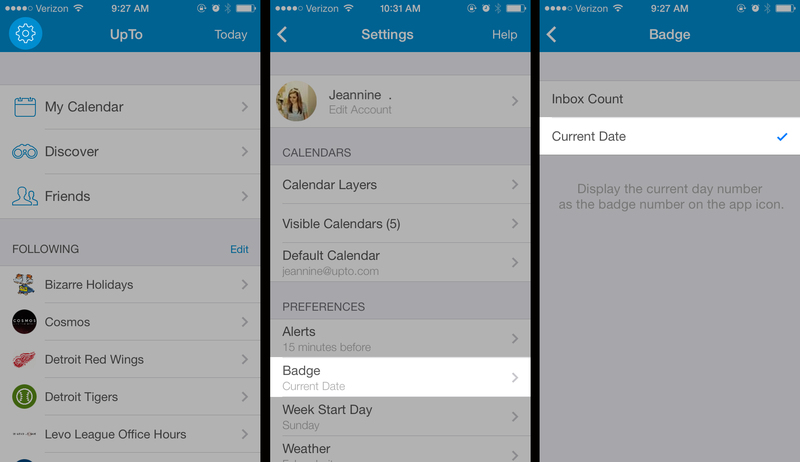 The next best option for us is giving our users the ability to toggle on a date badge that lives on the icon. Turn on the date badge by heading to your UpTo settings. And you're in business!